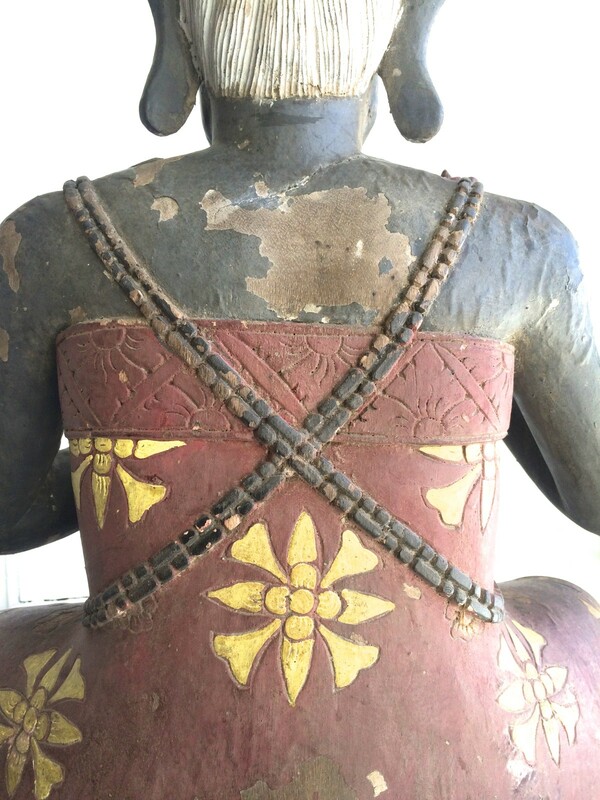 Measurements: 30″5 hight, 19″width, 9″depth. 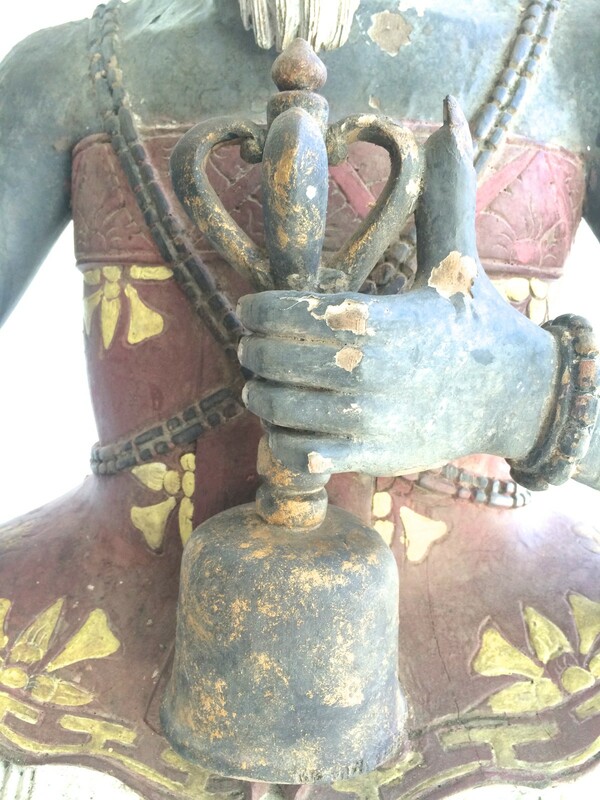 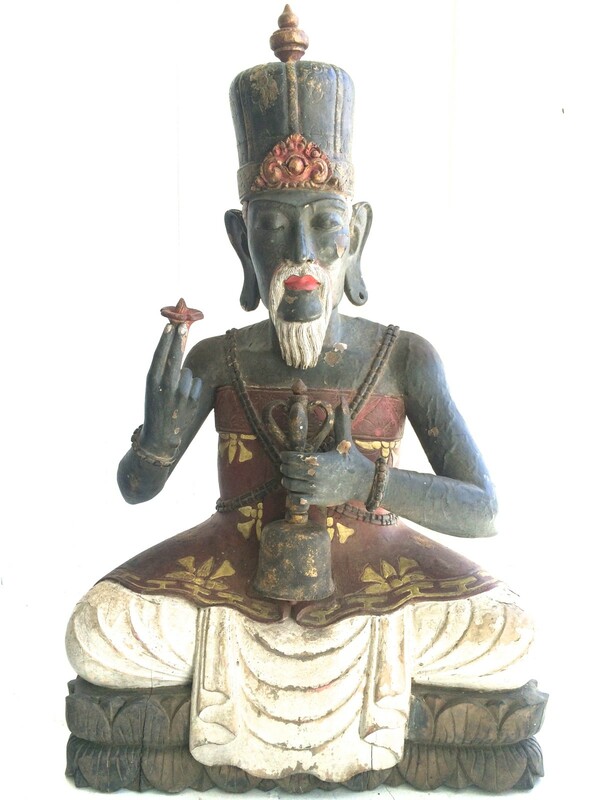 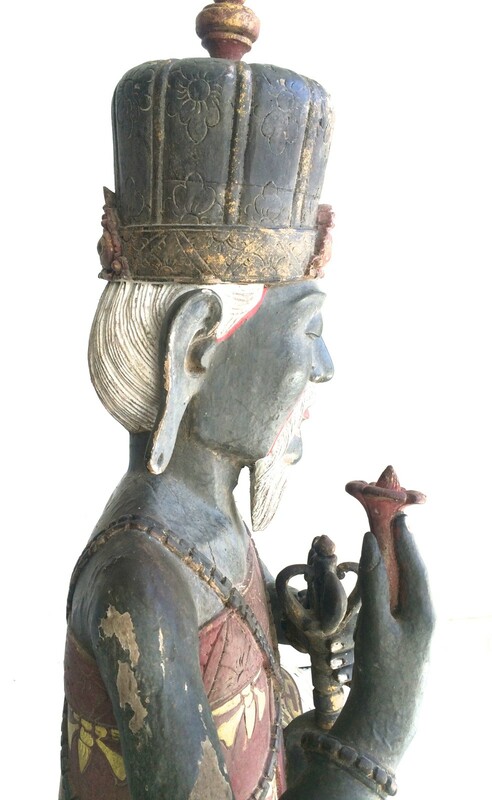 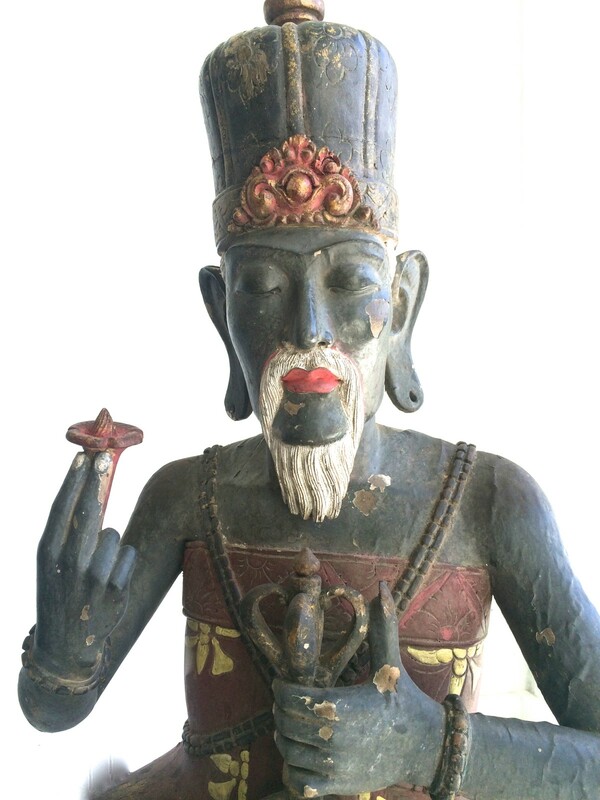 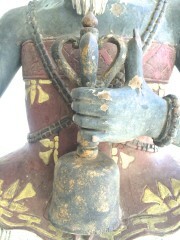 Fantastic original 19th century Balinese wood sculpture of High Priest holding flower and prayer bell. 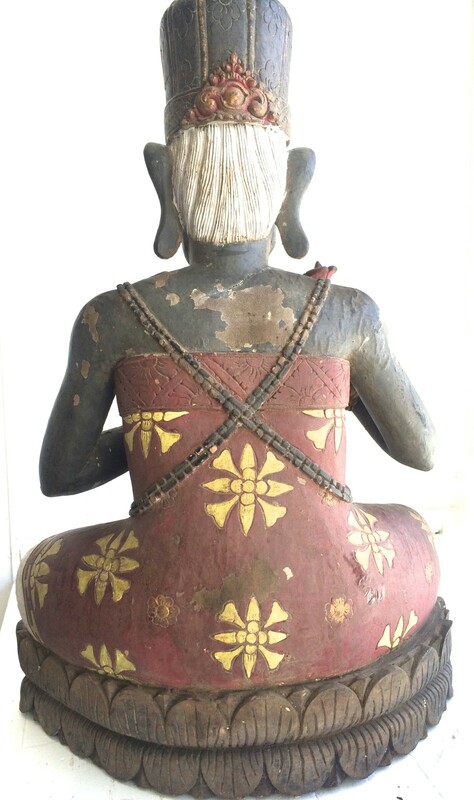 Hand carved Jackfruit wood with polychrome paint, some paint chipped fragments missing as shown on photos due to age.